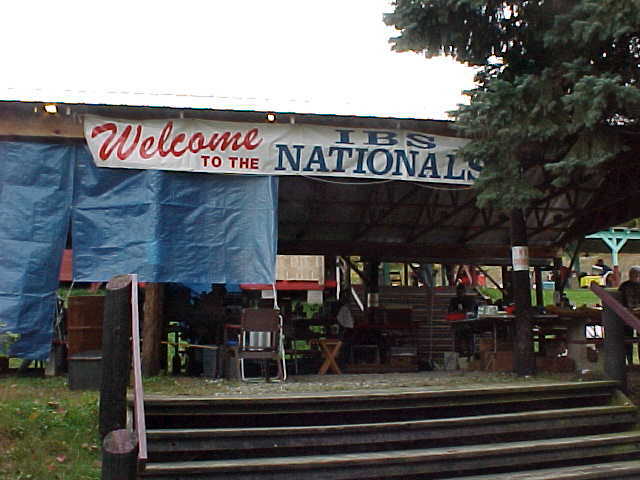 Welcome to the IBS Score Nationals that were held at the Palmisano range in Wapwalopen PA. The match director was Bob White many thanks to Bob for running the event in some pretty difficult conditions. The match was a two day event with 100 yards being on Saturday, October 6th and 200 yards on Sunday, October 7th. The final standings are posted at the bottom of this page for the top 10 in each class. 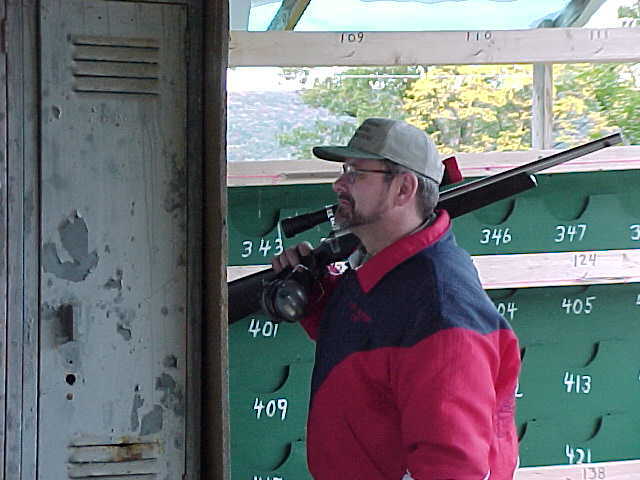 I arrived at the range on Friday morning to get set up and possibly do some shooting. The weather was great on Friday with a moderate amount of wind and warmer weather. Most of the day was spent setting up windflags, loading, and wasting time. For an hour or two in the afternoon the range was open for shooting. I managed to shoot 20 rounds down range during the open range. By Friday night the colder weather began to set in. The shorts were traded in for long johns and jeans. The weather on Saturday was pretty cold with some tricky winds. 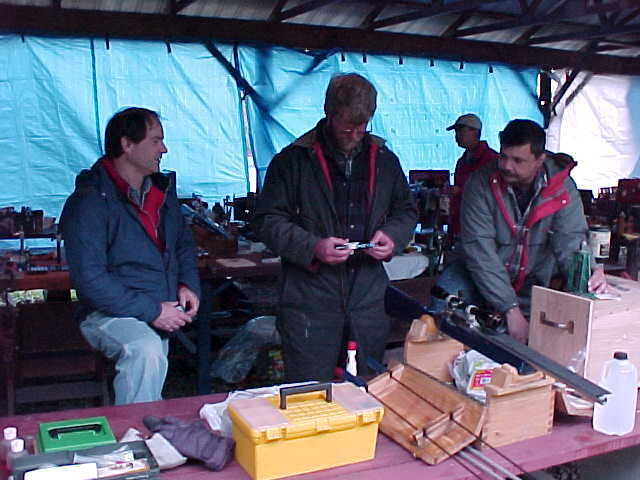 A few shooters managed to stay clean at 100 yards and Jim Goody even managed to shoot 19 xs while staying clean. 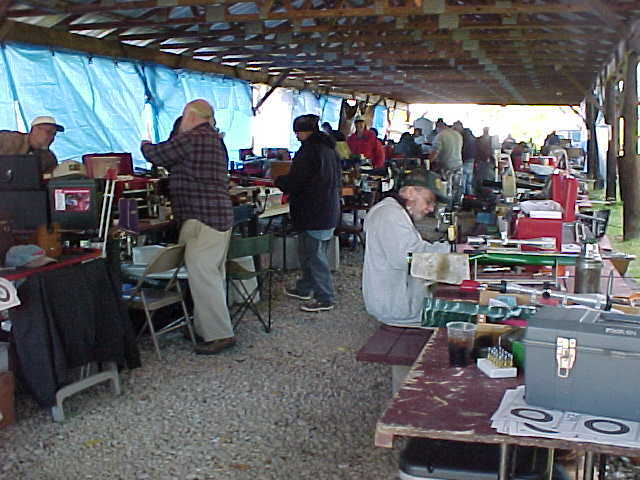 Below is a picture of the loading area, take notice of the blue tarps that were used to shelter the loading benches from the strong winds and rain. It rained off and on most of the day on Saturday. Sunday it was mainly just cold but it did manage to rain a few times during the day and even tried to snow a little. 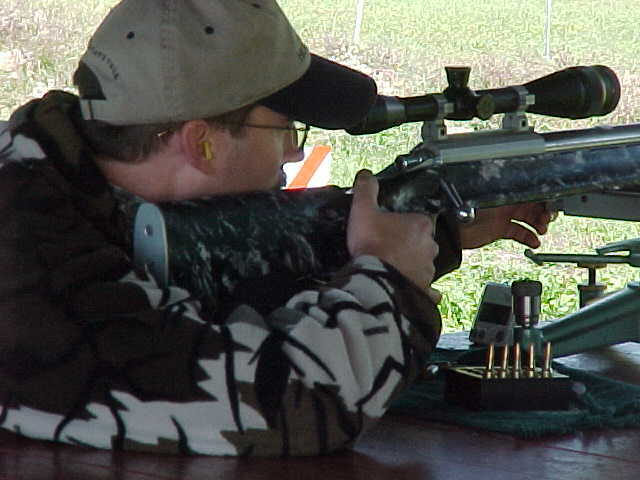 Below is a picture of me shooting on Saturday at 100 yards. I was doing pretty well through the first 3 matches but faltered during the final 2 dropping 2 points in each of the final 2 matches. I dropped from 11th place to close to the bottom when I missed a switch and shot an 8. I was tied in 11th with Jim Borden through the first 3 matches. Above is a picture of Greg Pallmans gun that was built by Speedy Gonzalez and has a very interesting finish on the barrel it looks like fish scales. 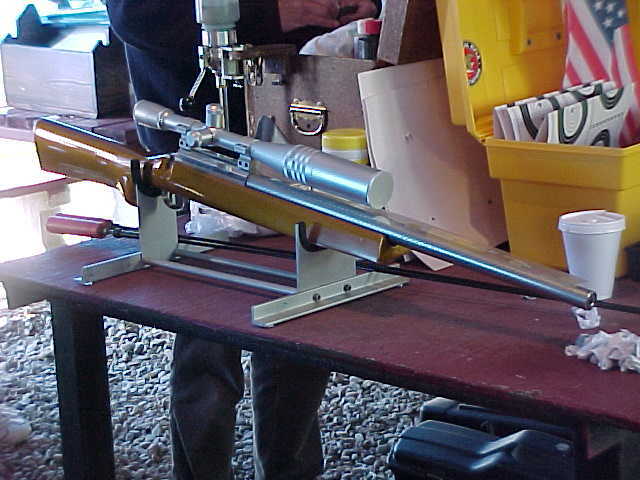 This gun is chambered in .30BR and is shot in the VFS class. Greg is in 3rd place in the Score Shooter of the Year points with his .30. Above is a picture of Darrel Loker who is no stranger to the winner circle. 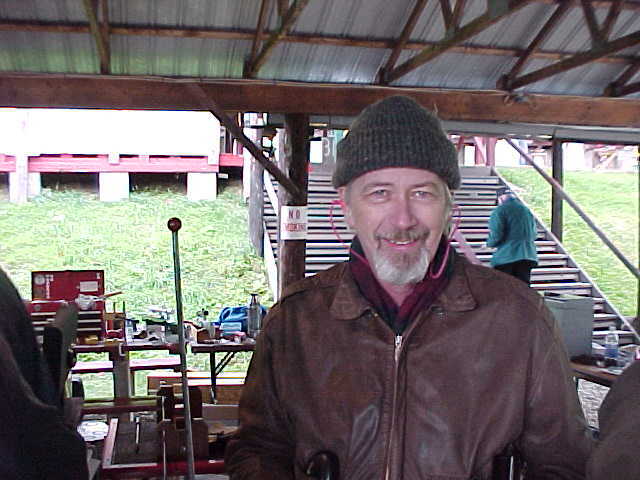 Darrel is in only his second year of competitive Benchrest shooting and is currently in 2nd place in the score shooter of the year points. Darrel also finished in 2nd place for the weekend in the VFS class. 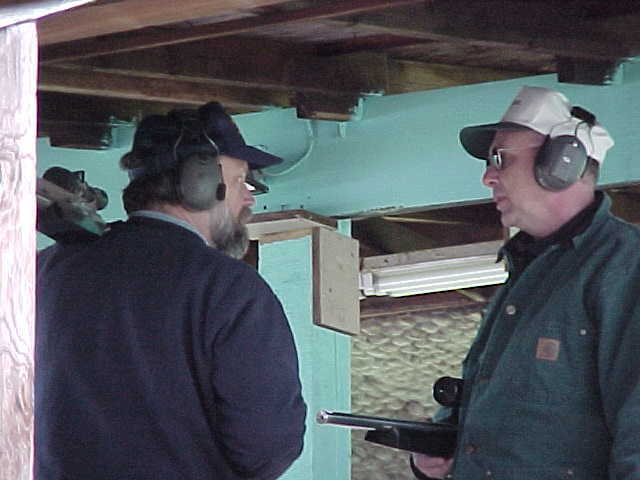 Above is Gunsmith Bob Green and Craig Kostyshyn discussing the construction of a Hunter class gun. 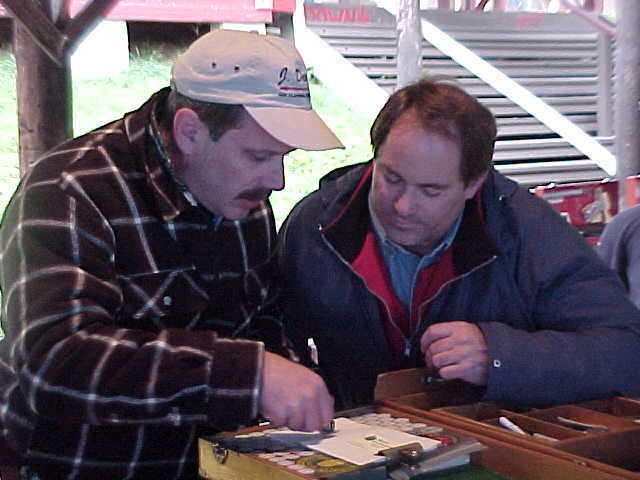 Bob Green also makes bullets that I use as well as Darrel Loker and Bill Goad. 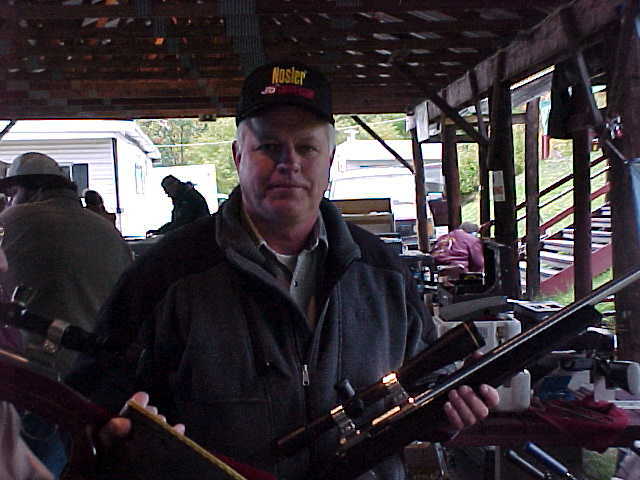 Bill recently finished 5th in the 4 gun, the 3 gun, and the 2 gun in the IBS group nationals a few weeks ago while using Bobs bullets. 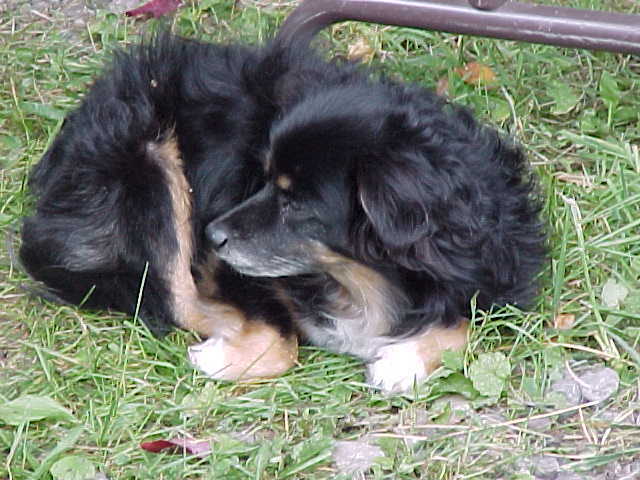 The little dog trying to keep warm next to the R.W. Hart vending tables. Here is a rather dark picture (my apology) of Eddie Harren and Jim Goody. Here is a picture of Frank McKee after the match. Frank was shooting the Hunter class and finished in 3rd place for the Grand Agg. Above is a picture of Jim Borden checking out the standings. Above is a picture of Wayne France discussing the conditions with a competitor whose name I cant recall. 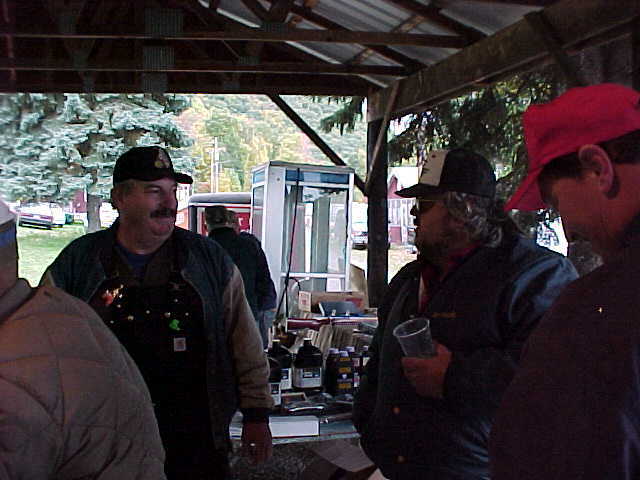 Above is Bill Barwick on the right, Wayne Shaw in the middle and Craig Kostyshyn on the left. Bill is shown here while not rolling around on the ground behind his bench after shooting a 9. Bill was clean through the first 4 matches and dropped a point in the 5th match on Saturday at 100 yards which he didnt take lightly. Below are the final standings from the event.